The Brotherhood was formed by Edwin Horlington MBE and a number of other veterans in the early 1990s. Following a re-union in the UK, the idea of erecting a memorial at Kalamata was proposed and taken up. 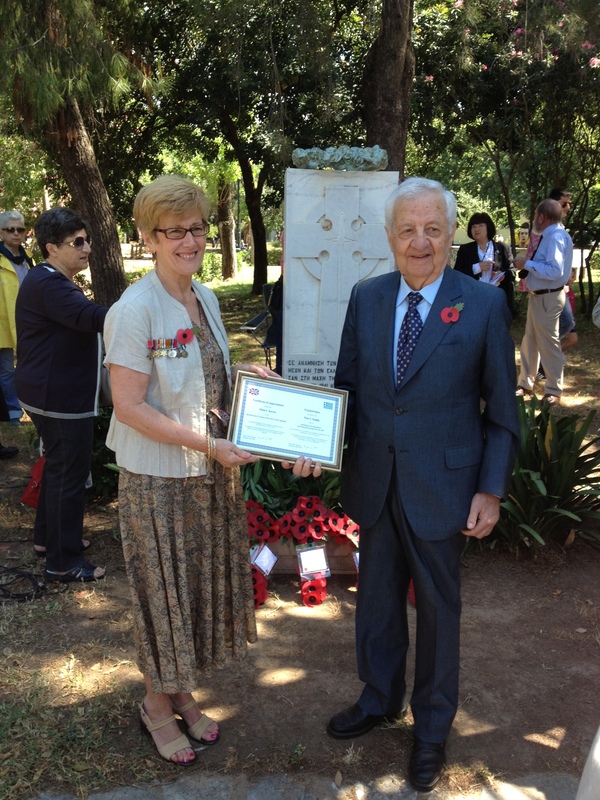 With contributions from many veterans and the assistance of Sir Patrick (Paddy) Leigh-Fermor (also a veteran of the Greek campaign) who lived locally, we established a memorial at the entrance to the Railway Museum Park at Kalamata. In May 1994, a group of sixty veterans travelled to Kalamata and were joined by another twenty who made their own way as part of a holiday tour. We are not known as a ‘club’ or ‘association’. The ‘aim and objective’ of the Brotherhood, apart from comradeship is to try and ensure that the Greek Campaign and the men who were left behind are not forgotten. While the numbers of veterans alive today is declining, this spirit of comradeship lives on through veterans’ sons, daughters and grandchildren. 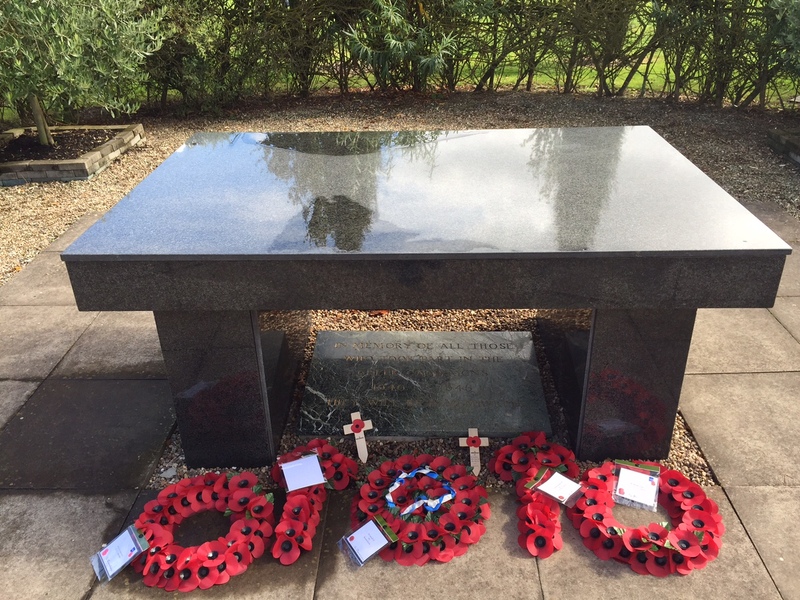 In addition to our memorial in Kalamata, we have erected a memorial in the UK. It is the Greek Grove at the National Arboretum in Lichfield and includes a Greek Chapel. We also have our ‘League of Friends of the Brotherhood’ in Kalamata. Up until recently, this was led by our man in Kalamata, Mr Niko Zervis. Nikos, who sadly died a few months ago, was invaluable to us over the years. We are forever in his debt for his unstinting support and hard work in helping us organise our ceremonies and receptions including liaison with the Mayor of Kalamata, VIPs and many others. Today the Brotherhood is led by veteran Frank J. Gill (President), Janet Parkin (Secretary) and Geoff Swinnerton (Treasurer). More can be found by reading Edwin’s book ‘Tell Them We Were Here’ which combines Volume 1 and 2. It tells the story of the ill-fated Greek campaign through the reminiscences of the men of the three services who took part, many of whom, are or were members of the Brotherhood of Veterans of the Greek Campaign. The book consists of individual and personal accounts of the horrors of the retreat in April 1941 of the British Expeditionary Force through mainland Greece to the Peloponnese. Thanks to the Royal Navy many escaped, but 10,000 soldiers were left behind and captured. Edwin was awarded the MBE for ‘services to British ex-servicemen and the UK-Greek relations’ in 2003.